The Benchmark Survey deadline has been extended to November 30th. Our Santa Shop is on November 28th-30th - more information is in Mail Day today. Our Band Christmas Concert is on Monday, December 10th. An email with a link to the Benchmark Surveys was sent out to all families last Monday, 11/12. Please take the time to respond. The surveys will close this Friday, 11/16. Gift card orders are due this Monday, 11/19. St. Vincent de Paul food collection is due this Friday, November 9th. An email will be sent out soon to all families with the Benchmark Survey. Sarris Candy orders are due on Wednesday, November 14th. We will have our first Auction Meeting on Monday, November 12th at 6:30 PM. 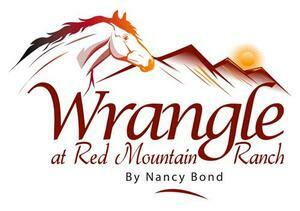 Join us on Friday, November 2nd for an entertaining evening as the Cabaret Players present Wrangle at Red Mountain Ranch - a murder mystery. You can purchase your tickets online. AND we will have a CHILI COOK-OFF CONTEST! Do you have a delicious chili recipe? Join the contest! RSVP's due Thursday, October 25th! IOWA test results and first quarter report cards are coming home today. Thursday, November 1st we have our Fall Family Breakfast starting at 8:00 AM, it is an 11:30 AM early dismissal day, and we will have Parent Teacher Conferences starting at 1:00 PM. Friday, November 2nd there is no school. Come to the OLG Craft & Vendor Show on Sunday, November 4th from 9:00 AM - 2:00 PM in Conroy Hall and Miller Pavilion. There will be many crafters and vendors - start your Christmas shopping now! Scheduling for Parent Teacher conferences is now open on Option C. Please send in your Reverse Trick-or-Treat donations by Monday, October 29th. The donations will go to the patients at Kane Hospital. Fall Family Breakfast RSVP's are due on Monday, October 29th. There is a special Gift Card order going home today. Orders are due on Monday, October 29th. Cabaret RSVP's are due on Thursday, 10/25. We will have a Fall Family Breakfast event on Thursday, 11/1. Box Tops are due this Friday, 10/19. Read about the PTG Pumpkin Decorating event on Monday, 10/22. SignUpGenius emails were sent out about the Halloween parties for K-5 on Wednesday, 10/31 as well as the 6th, 7th, 8th grade Halloween Social on Friday, 10/26. Our Scholastic Book Fair runs from October 6th - October 11th. You can still purchase books online until October 16th. Football Frenzy Raffle tickets are due on Monday, October 15th. Reservations forms for the Cabaret Performance on Friday, November 2nd is in Mail Day this week. Registration for Fall Basketball and Cheer closes this Friday, October 12th. If your student is interested, please register them ASAP.